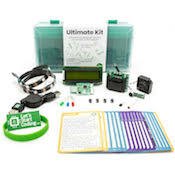 Blast into coding with Code Rocket. 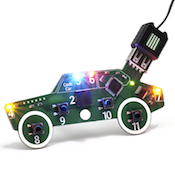 A circuit designed to teach real C++ coding through hands-on electronics. 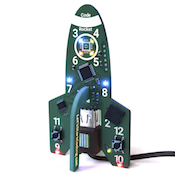 Code Rocket Board with 8 programmable onboard LED lights, a speaker, and 2 buttons.